During our Europe trip last July 2012 we brought back a prized equipment which has been giving us wonderful breakfast mornings. 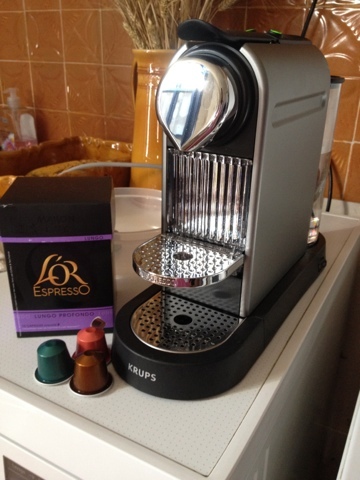 Our Nespresso machine! We carried back with us tons of different capsules from Europe: a mix of Nespresso as well as other compatible brands that are available in Monoprix and Carrefour. 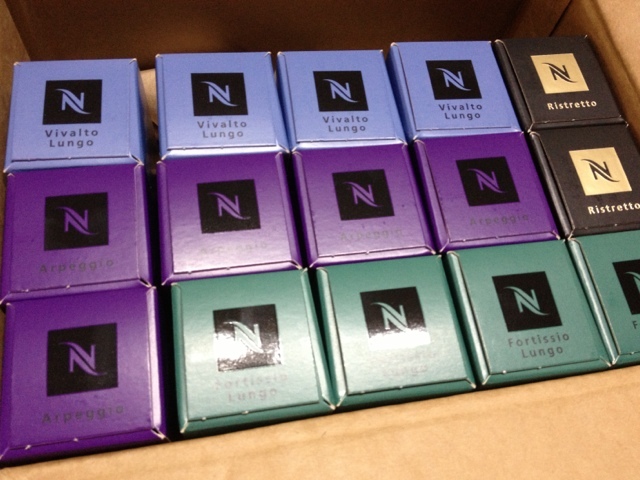 I was worries when supplies ran low so I decided to log on the Nespresso website and create an account in Malaysia. I was impressed with the speedy delivery. After ordering online, I received a call the next day saying they will deliver on that day!!! Wow next day delivery?!! Plus there was the option of paying upon delivery-- especially as I was skeptic as this was the first time I was ordering capsules online. Now I know I don't have to worry. Speedy delivery. I won't run out of coffee ever!!! I had to order 150pcs of capsules so delivery will be free. That should probably last us about 3 months. Pricing is cheaper of course in Europe but the accessibility of Nespresso in Malaysia is worth the extra. 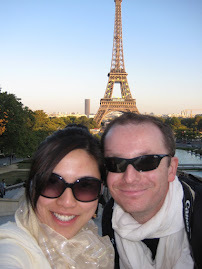 Though I miss the "premium" experience of having a cuppa at the Nespresso house in France where they served it with matching cookies / small piece of cake along with beautiful cups and teaspoons! Glad we can order online now! If you still want the service you can get it in Singapore as they have a Nespresso store there. I like trying new coffees and seeing what special blends they have too much to bring myself to order it online, even though it does make way more sense than driving to Sing. Thanks so much! I was wondering if I should try to ship my Keurig coffee machine with us, but didn't think I could get k-cups in KL. 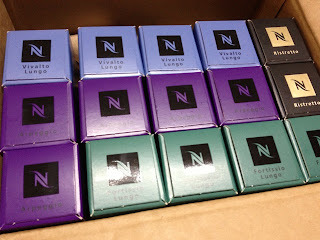 Now that I know we can get Nespresso it is the perfect excuse to buy one! We have been wanting one but didn't think it was prudent since we already have the Keurig. Most welcome. Not sure though if you can find a good machine here. Suggest you buy the Nespresso machine overseas and bring to Malaysia. All i know is that we enjoyed the good service for the Nespresso capsules delivery... so we are happy to have our Nespresso machine! Mornings are just so easy with this thing around... and i don't have to worry about running out of capsules. I love them the minute I tasted it from my colleague who bought one of the machines. I bought the citiz and milk, that comes with the aeroccino. Best milk frother I've ever used. Very convenient and easy to maintain. Hie. Can you please tell me the price of the Nespresso capsules ordered on line. 150 capsules that you bought were in 15 boxes? Thanks for sharing the info. I have also bought myself the machine and will bring it back to Malaysia. Where to buy the machine in m'sia and much it cost? Very interesting but you don't mention the website or email adress where to order the capsules. Is it possible to get it? Thanks , we also enjoy Nespresso!